Dogs Lap Quilt Wall Hanging features different appliqué dogs on a beige, cream and grey cotton background. Each dog is in a different color surrounded by appliqué brown bones. This medium weight, all cotton imported lap quilt has tabs on the back so it can also be used as a wall hanging. Personalize by adding a dog's name embroidered in the center under the toes of the grey and white dog. There is also room along the beige border with the appliqué collar. 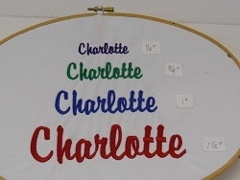 You can also customize by adding the couple's name, special date and photo printed onto fabric for unique handmade gifts, wedding gifts and anniversary gifts. 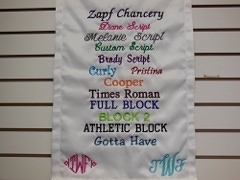 Our soon-to-be wed customers also like to buy this throw as thank you gifts for parents.